Today, StarWars.com revealed the newest action figure in Hasbro's incredibly detailed and articulated Black Series line! 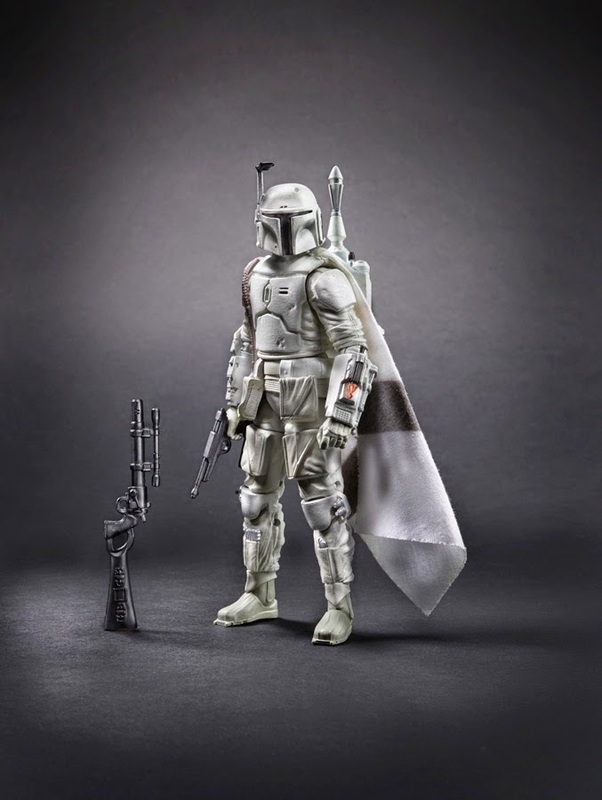 The all-white "Prototype Boba Fett", based on early early concept art by Joe Johnston and the late Ralph McQuarrie, is slated for release this Fall and will be a Walgreens exclusive. "On June 28, 1978, Star Wars sound designer Ben Burtt and The Empire Strikes Back assistant film editor Duwayne Dunham debuted the costume with a test video (also available below), detailing its weaponry and functionality; the colors would later be developed to what has become Fett’s definitive look, but it all began with this early version." Pre-orders are also expected to open at San Diego Comic Con later this month. This certainly looks like an awesome figure, and a must-have for collectors! Will you be picking this up at your local Walgreens when it's released? Let us know in the comments below.